Max Factor is a brand with a strong heritage rooted in make-up artistry. It was founded over one hundred years ago by Mr Max Factor, a leading make-up artist with a passion for creating innovative products that enabled women to achieve their glamour potential. We believe that with the right products and make-up artistry skills any woman can be glamorous! The Max Factor advantage is its versatility and the gentleness of its application. Max Factor was able to alter the products he was creating for better appearance under the filming apparatus’ of the early 20th century, and constant reinvention was important to the business as the film industry grew in stature and importance throughout the early parts of the century. This legacy has only continued, and the brand continues to break new ground. Nowadays, the firm continues to change the game, and still produces some of the finest cosmetics available. The legacy of Max Factor lives on through his firm and his product offerings; they have been helping to make women glamorous for over a century now, and they can do the same for you. 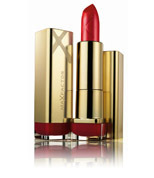 For glossy lips, lengthy lashes and a beautiful complexion, Max Factor cosmetics are the top choice for Australians.